The Senate is not in session today and will reconvene at 2 PM on Monday. On Tuesday, a vote is scheduled on the nomination of Todd M. Hughes to be U.S. Circuit Judge for the Federal Circuit. Yesterday, the Senate voted 97-2 to pass H.R. 527, the Helium Stewardship Act, as amended. The House reconvened at 9 AM. They moved quickly to the vote on the C.R< and passed (230-189) H.J. Res. 59 — "Making continuing appropriations for fiscal year 2014, and for other purposes." The House C.R. would continue funding government operations through mid-December (3 months) while withholding funding for the Affordable Health Care Act, aka, Obamacare. The C.R. would fund federal agencies at an annualized rate of more than $986 billion and leaves in place automatic spending cuts known as sequestration, set to take effect in January. It prohibits any funding to implement the health-care law and authorizes the Treasury to pay some bills but not others if an agreement is not reached in October on increasing the debt limit. However, Sen. Harry Reid vows to strip out the defunding of Obamacare in their C.R. version and to return the C.R. to the House. Sen. Ted Cruz and others have verbally committed to filibuster Reid's efforts. Note again that this C.R. funds the government except for funding continuance of Obamacare. President Obama has sworn to veto any C.R. not funding his signature Obamacare legislation. In other words, he would shut down the government if he doesn't get his way. Congress must pass a new short-term budget agreement by Sept. 30 or risk shutting down the federal government. Contained in the C.R. was an amendment by Republican Study Committee Chairman Steve Scalise to defund and delay President Obama’s health care law and protect the nation’s credit rating. The Scalise Amendment protects the nation’s credit rating by incorporating an amended version of the House-passed Full Faith and Credit Act. Before adjourning the House also passed (244-173) H.R. 1526 - "To restore employment and educational opportunities in, and improve the economic stability of, counties containing National Forest System land, while also reducing Forest Service management costs, by ensuring that such counties have a dependable source of revenue from National Forest System land, to provide a temporary extension of the Secure Rural Schools and Community Self-Determination Act of 2000, and for other purposes." Also known as the House Continuing Resolution. The House adjourned at 1:30 PM and will reconvene at 11 AM on Monday. Yesterday the House passed (217-210) H.R. 3102 — "To amend the Food and Nutrition Act of 2008; and for other purposes." ALG President Nathan Mehrens has issued the following statement urging the U.S. Senate to support a continuing resolution, H.J. Res. 59 as amended, that will defund implementation of the health care law: "The message for the Senate is very simple: If you vote to fund Obamacare via the continuing resolution, you will own the health care law. 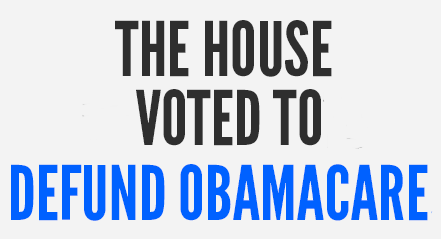 If you vote against a continuing resolution that defunds Obamacare, you will own it, too. . . . The American people will make no distinction between those who are overtly in favor of the health care law, and those who obstructed the only plan that might have gotten rid of it. That is the choice facing every senator. That is the political reality. "If you're not in favor of stopping Obamacare before it goes into effect, you're in favor of it. You're in favor of the destruction of the 40-hour work week. You're in favor of dismantling the best health care system in the world. You're in favor of knocking people off their health coverage of choice and forcing them onto government-run, taxpayer-funded insurance. The American people do not want this, and it is time for the Senate to finally stand with them." This is our last chance to get rid of the health care law before it goes into effect. The last chance to defund in full the Medicaid expansion and the insurance subsidies under the state exchanges. The last chance to prevent the destruction of the 40-hour work week. The last chance to keep the best health care system in the world, and keep you on your insurance policy of choice. Use CapWiz and Urge Your Senators to Defund Obamacare once and for all! 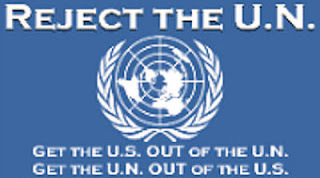 The Obama Administration Threatens to ruin access to one of the largest God Given Resources we have in America - COAL. 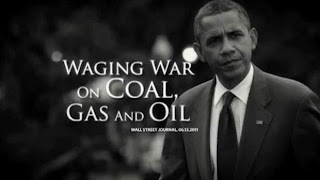 Politico reports today, “The Obama administration is preparing to draw a red line against coal . . . . The Environmental Protection Agency’s proposed rule . . . fulfills a key promise to President Barack Obama’s environmental base — while offering a potent line of attack for Republicans in 2014. . . . The White House-vetted proposal would impose strict pollution standards requiring future coal-burning plants to capture and store at least 40 percent their carbon emissions, according to information provided to POLITICO late Thursday. . . . Obama’s critics say the emerging technology is too expensive and amounts to a ban on building coal plants. . . . The rule is the first of two major climate regulations that EPA has in the works. A second, more sweeping draft rule due in June will take aim at carbon pollution from the nation’s thousands of existing power plants — the largest source of U.S. greenhouse gas emissions. . . . Environmental groups have long been pushing Obama to take this kind of action, while Republican lawmakers and coal industry supporters have warned it would boost both energy prices and unemployment. Tags: President Obama, War on Coal, U.S. House, Continuing Resolution, Defunds Obamacare To share or post to your site, click on "Post Link". Please mention / link to the ARRA News Service. Thanks!